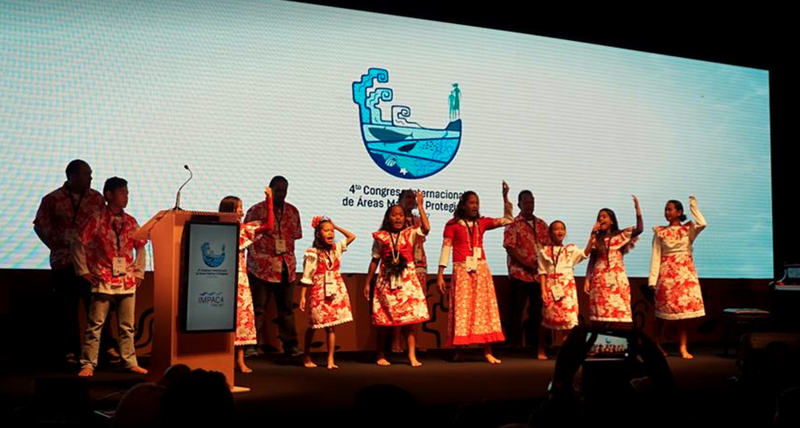 Marquesan school kids go to Chile conference! 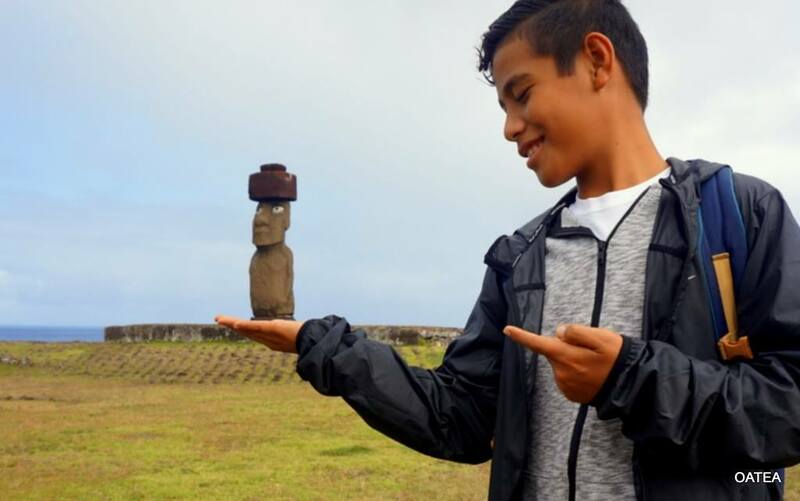 Rapa Nui has a strong Polynesian heritage and ancient connections with the Marquesas Islands. 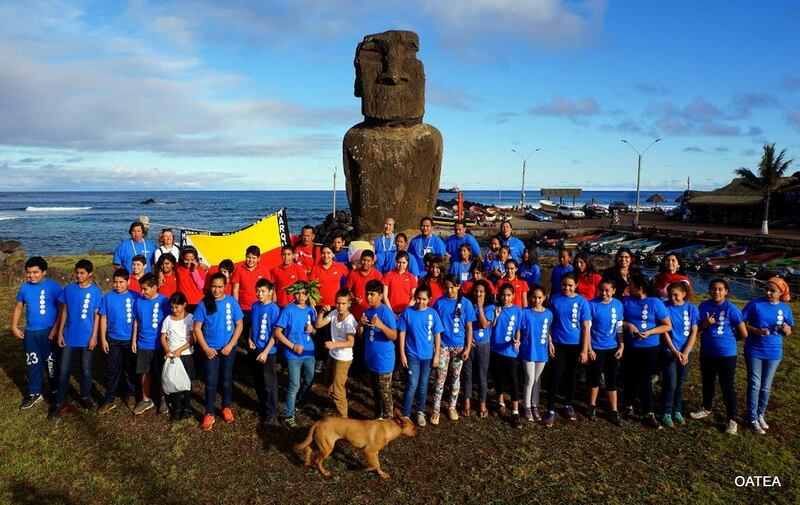 The school kids in Rapa Nui announced the launch of their own EMMA, using the Marquesan model as their guideline! There was amazing sharing between the kids. 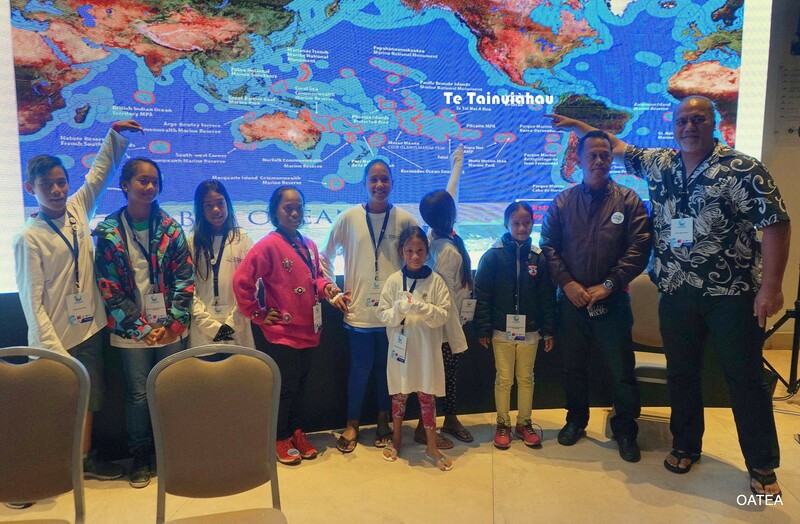 Pascal and other organizers spent their days at the conference while the kids went sightseeing… but they came to the conference during key moments, such as the partnering of the Pukatai EMMAs with the Big Ocean network of protected areas — an exciting development for everyone, and an opportunity to expand the EMMA concept throughout the world. 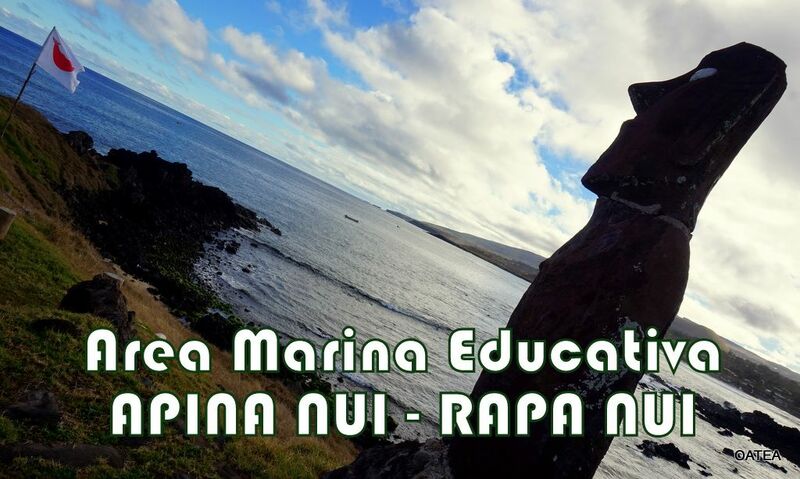 (EMMAs are educational marine managed areas run by school kids, developed by Marquesans). Pascal reported that having the kids at the conference changed everyone’s attitude. During many conferences, scientists make a call to action to “support the future generation”. Well, here they were, pledging to work alongside the scientists. Pascal said this was a very emotional realization for all the participants. Well done EMMA leaders (the Oa Pou kids) and dear Pascal! Great stuff!! Thanks for sharing it! My reaction to the note you’ve hit? Profoundly emotional. Thanks to greencoconutrun, the Marquesan EMMA, Pascal and everyone involved.